About the work: In learning about Psyche, I’ve learned about vulnerability. 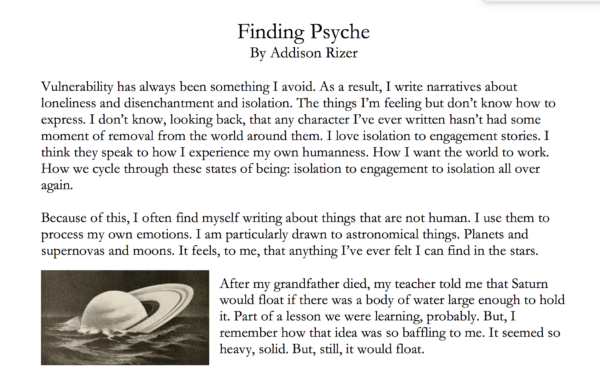 I found inspiration not only in Psyche’s story of collision and loss, but also in the community of hope we’ve built around seeing Psyche for the first time. This creative writing piece explores that vulnerability and how we can find ourselves in things that live in our sky. 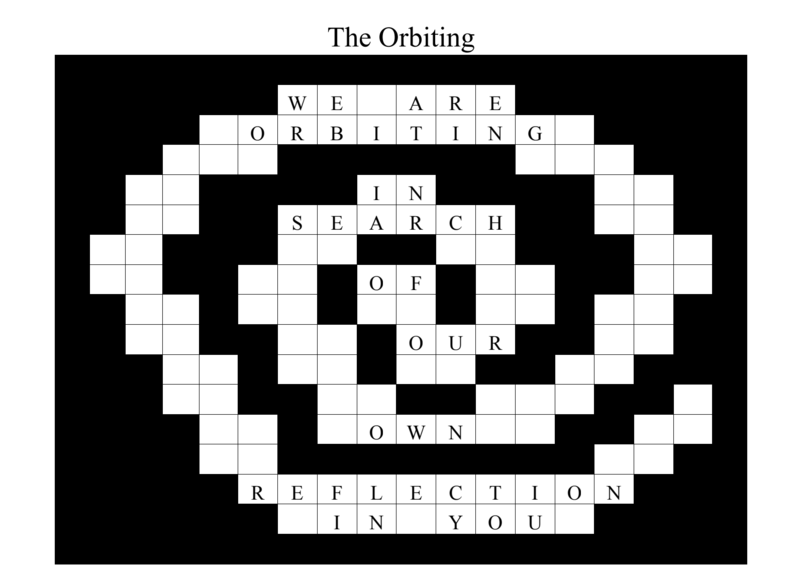 About the work: I have always loved the way crossword puzzles interact with language. How they serve as a way to learn new words to use to describe the world around us. I think they’re tools that make us think about what words mean and how we use them. 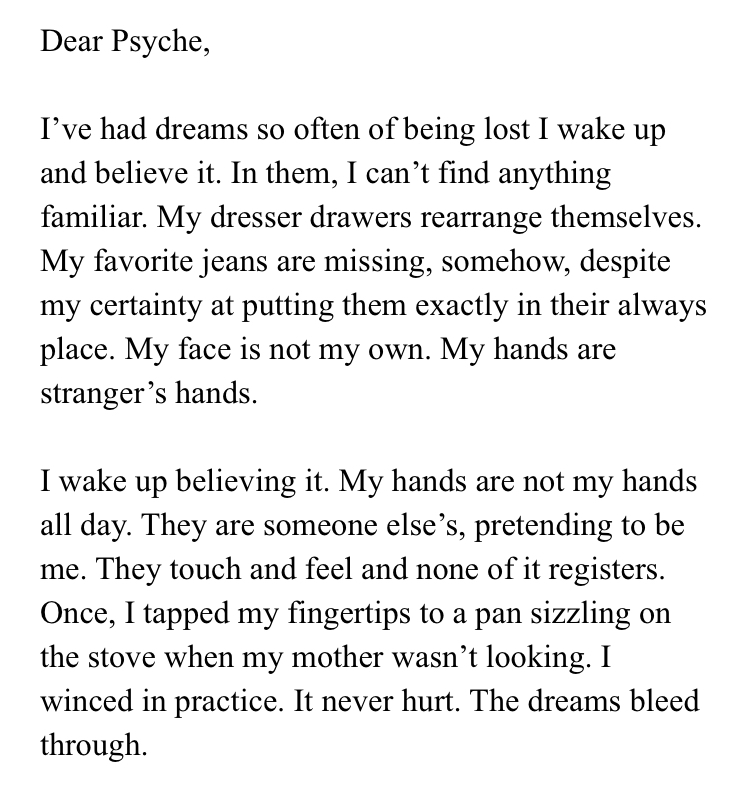 In making these crosswords for Psyche, I tried to get in touch with what Psyche might be thinking, yearning for, wanting. 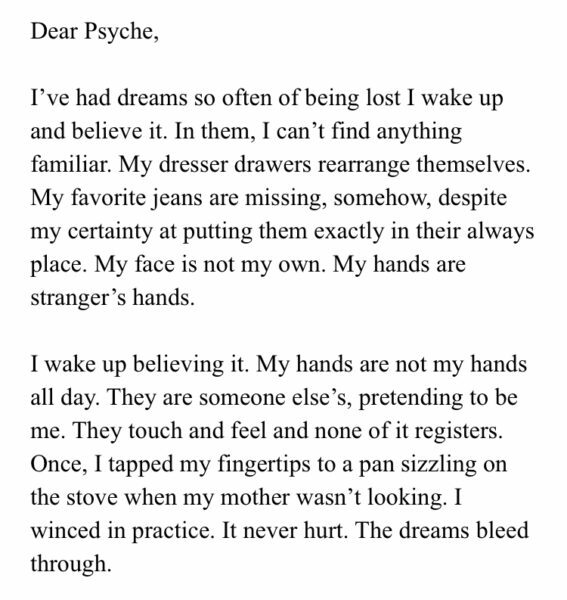 In this series, there are poems that I used to try to get in touch with Psyche’s language, and also two crosswords that will help others get to know Psyche better. 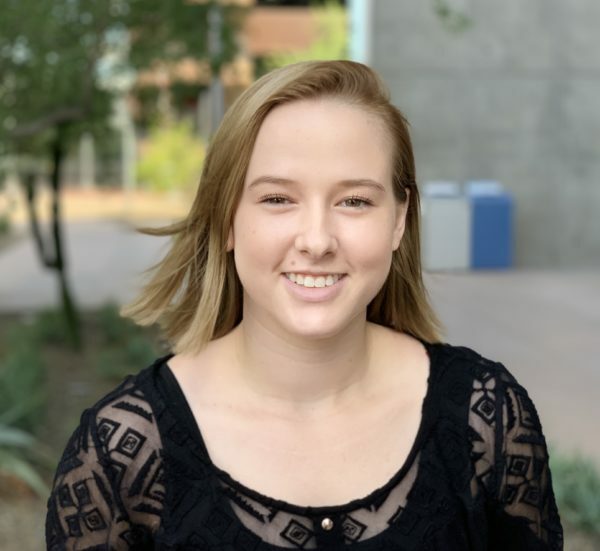 All of the answers can be found on psyche.asu.edu. Be sure to print them out and try your hand at them if you’d like to get to know Psyche better! 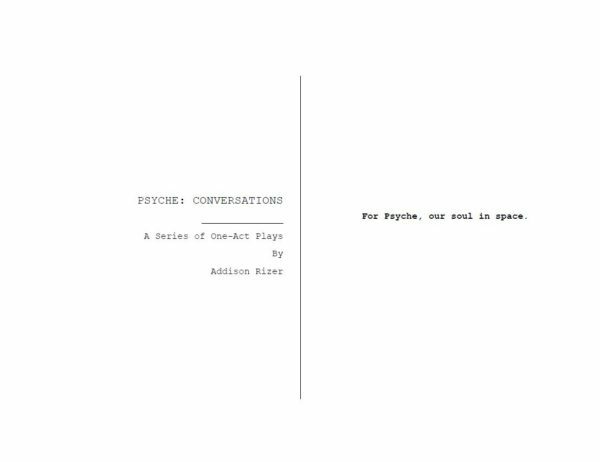 About the work: Psyche: Conversations is a set of one-act plays in which we explore Psyche’s capacity to inspire.